Name the poet and Nobel Laureate who died at the end of August and was buried in his native Derry earlier this month? The Dublin football team will be looking for new sponsors as their present arrangement draws to a close. Who has been their sponsor for the past four years? Who won this year’s camógie All –Ireland final? Who is the president of Ireland? This actress and singer played the leading character in the Disney television series, Hannah Montana? Can you name her? Shoppers in what Irish town, will stop using one and two cent coins over the next few weeks, in a trial that could see them removed from circulation nationwide? David Gillick has won gold at 400 metres in European Indoor Championship in 2005 and 2007. But off the track what celebrity competition did he win in August? How many days are there in the month of September? 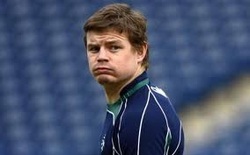 To whom did Brian O’Driscoll say, that he will not be sending a Christmas card this year? In what county did the ploughing championships take place this week?. The 2016 Olympics will be taking place in Rio de Janeiro. What city will host the 2020 Olympics? On what date in October 2013 does a referendum take place? Who sings the song “Wake Me Up”? At what age is an Irish citizen entitled to vote in an election or referendum? This very successful Kilkenny hurling manager, has announced that he intends to stay on as manager of the senior hurling team. Can you name him? What British boy band have recently made a movie about their lives as pop stars called “This is Us”? In what county is Bailieboro? What American singer performed with the E Street Band in Nowlan Park on Saturday 27th & Sunday 28th July 2013. Do you know who this rugby player is? Dublin won the Sam Maguire in September 2013. Do you know who their captain was? He won a Nobel Prize for Literature. Can you name him? 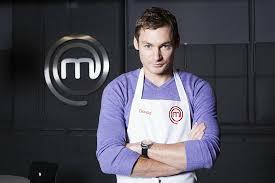 He won Celebrity Masterchef. Who is he? Can you name the Irish member of this band?